Another person in Dnipropetrovsk Region dies, one more Mykolayiv resident is in hospital now. By the evening of 18 October, there have been 142 cases of poisoning with counterfeit alcohol in Ukraine. Since 21 September, when the first victims were reported dead, 64 people have died, the State Consumer Protection Service has said. Since the morning, one more person has been announced dead as a result of poisoning in the village of Katyoshchyne, Tomakivka District of Dnipropetrovsk Region. The man has been in in-patient care since 7 October. Thus, two out of eight people who got poisoned with counterfeit alcohol in Dnipropetrovsk are now dead. A new case of poisoning was registered in Mykolayiv. The man was admitted to the emergency ward of the city hospital. Previously, 96 people got poisoned in Kharkiv Region, of whom 49 died. Methanol was found in the bodies of 37 casualties. Seventeen people got poisoned in Zaporizhzhya Region and three in Zhytomyr Region, one of whom died. In Lyman, Donetsk Region, nine people got poisoned, of whom five died. 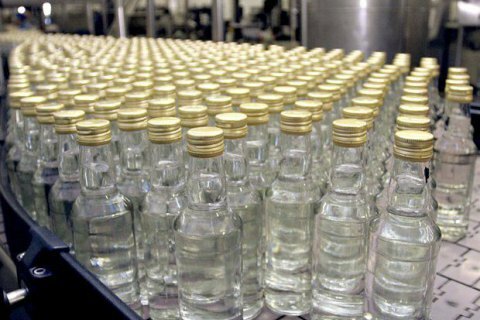 Two died from poisoning in Rubizhne, Luhansk Region and give in Mykolayiv.